The high prevalence of obesity is an enormous medical, social and economic burden. Central obesity, where there is excess fat around the abdomen, is accompanied by metabolic inflammation. This metabolic syndrome is associated with many problems, including raised blood lipids, decreased insulin sensitivity, hyperglycaemia and hypertension. Obesity causes malfunction of the liver, kidneys and vascular system, and is associated with dysfunction in central and peripheral nervous systems. There is a strong link between insulin resistance and cognitive decline, and evidence that obesity doubles the risk of Alzheimer’s disease and other dementias. Post-mortem studies of older patients with morbid obesity show higher concentrations of amyloid β and tau proteins associated with Alzheimer’s disease in the brain. Sympathetic and parasympathetic systems, the parts of the peripheral nervous system that regulate energy, are unbalanced by obesity. Increased sympathetic activity can increase heart rate and blood pressure, and trigger an increase in harmful long-chain fatty acids. Sensory and motor nerves, another part of the peripheral nervous system, are also vulnerable to obesity. The ‘stocking-glove’ loss of sensation associated with type 2 diabetes persists even if blood glucose is lowered. This suggests that central obesity, not just raised blood glucose, is responsible for damaging the sensory nerves. Although the precise mechanisms of obesity-induced nerve and cognitive dysfunction are complicated and not fully understood, it is important to reduce obesity to promote a healthy nervous system. 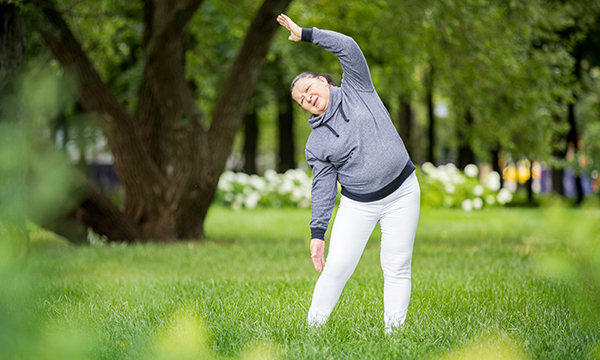 Drug treatments and bariatric surgery can improve neurological function, but lifestyle interventions through dietary changes and exercise are the best way to combat obesity. O’Brien P, Hinder L, Callaghan B et al (2017) Neurological consequences of obesity. The Lancet. Neurology. 16, 6, 465-477.